We have no more words for Umek, really. I mean we risk to become boring to describe how much his music output rocks, about how much the dancefloors go crazy to his Dj sets , about how much Umek is pivotal (to use a friendly basketball term) in the techno community or how much love he's given back by his fans to quote latest DJ Mag top 100 DJ chart results. 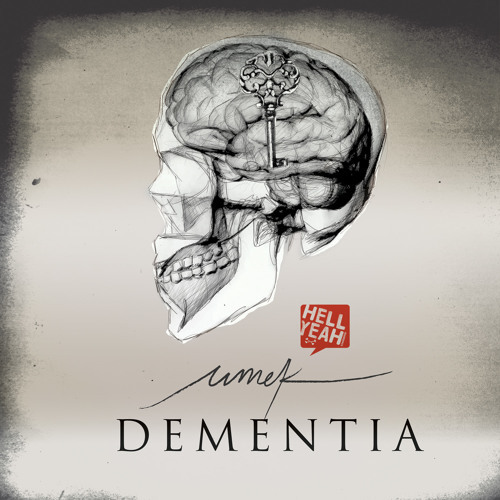 So while we have troubles with our vocabulary to invent some new kind of hyped story, our man Umek graces Hell Yeah once again with a new astonishing EP fairly named DEMENTIA: Joker Captured is the biggest party techno tune we heard in a while Dementia see the slovenian master taking adventures in the tech-house territory making use of some hipnotic and driving female vocals to astonishing effect, we would not be surprised if this would become another party anthem. Umek? Hell Yeah, indeed! In order to close 2009 in fine style package is completed by a few remixes of Dementia: Dyno & Alex Di Stefano needs no introduction in the techno game, they exclusively team up again for a breathless big room version; nu-deep hope Enzo Elia (Be As One, Lion1, YoungOdds) shows us how house-music should be done in 2010: deep driving tribal beats and hipnotic vocals snippets. I love this track! The vocals are amazing. Well done., love it - PETARDA! Indeed losing my mind on this track!